Thanks for printing! Don't forget to come back to Metro Brokers for fresh articles! Dunwoody is a northern suburb of Atlanta that is populated with roughly 48,000 residents. Located in DeKalb County, the city wasn’t incorporated until late 2008. 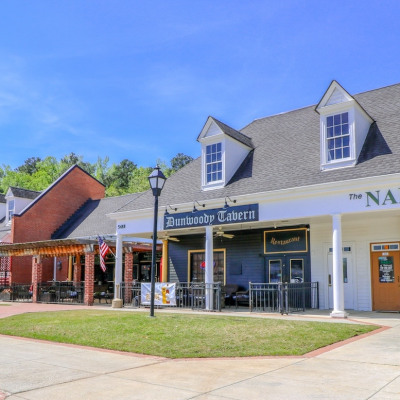 Dunwoody is a popular destination for both business and home owners alike. Several large companies are headquartered here, like the Atlanta Journal-Constitution, InterContinental Hotel Group, and State Farm. Despite only being incorporated in 2008, this community has a much long past. In the early 1830s, Dunwoody was named for Major Charles Dunwody, with an extra “o” added later on an incorrectly spelled banking note. The town was successful due to the Roswell Railroad addition in later years but continued to thrive even after it shut down in the 1920s. The area remained most residential until the addition of the Perimeter Mall in 1971. Perimeter Mall is an upscale shopping mall with over 1.5 million square feet of retail space. Not only can you find over 200 stores inside but the mall features large restaurants on the exterior that cater to all types of dining preferences and budgets. Perimeter Mall is also accessible by the Dunwoody MARTA station, making it an easy destination to reach for those without use of a vehicle. Better Homes and Gardens Real Estate Metro Brokers is a comprehensive home and commercial real estate site that's full of useful and up-to-date information on Atlanta homes for sale, north Georgia neighborhoods and everything you need to know about buying or selling your Atlanta real estate. With 26 real estate offices and more than 2,200 real estate agents in the metro Atlanta and north Georgia area, Better Homes and Gardens Real Estate Metro Brokers offers all the homeownership services you need. Better Homes and Gardens Real Estate Metro Brokers, Atlanta, GA. A licensed real estate broker in Georgia, North Carolina, South Carolina, Tennessee, and Alabama. © 2018 Better Homes and Gardens Real Estate Metro Brokers. Better Homes and Gardens is a registered trademark of Meredith Corporation licensed to Better Homes and Gardens Real Estate LLC. The services provided by Metro Brokers Financial, Metro Brokers Insurance, Metro Title Trust and Metro Law Group are not provided by, affiliated with or related to Franchisor, Realogy Corporation, Meredith Corporation (or its affiliates) or the Better Homes and Gardens Real Estate System. Equal Housing Opportunity. Each Firm is Independently Owned and Operated.